We take a lot of pride in our photo booths. 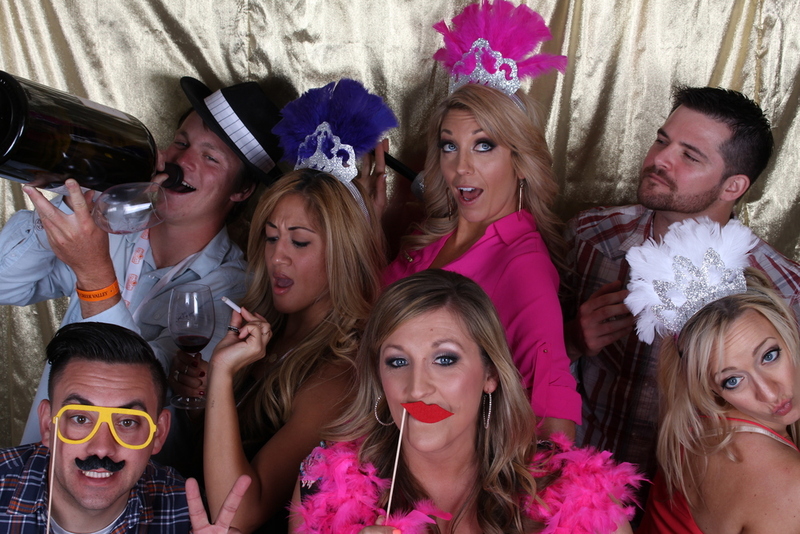 What differentiates us from other photo booth rentals? 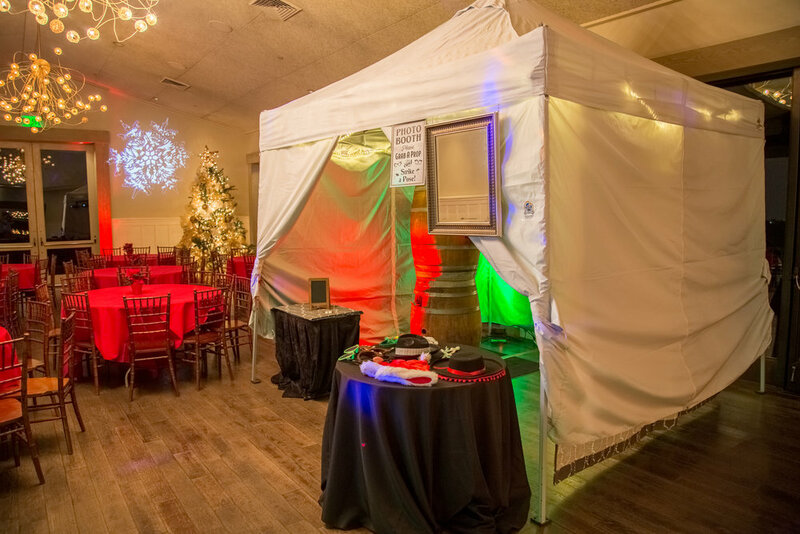 Our hand built, one-of-a-kind booths, high-quality, professional equipment, our fun and unique props, personable and friendly on-site assistance and our commitment to create a unique experience by focusing on the special details that make a photo booth truly unforgettable. 3 hours of unlimited photo booth use. A fully customizable 2x6” or 4x6” photo strip with your choice of fonts, colors and logos or images. Want doubles printed? Just ask and we will print as many as you like! An 18 mega pixel professional DSLR camera, LED ring light, touchscreen monitor and professional dye sub photo printer that prints strips in 11 seconds. A 10ft x 10ft beautifully decorated tent with your choice of backdrop, including green screen (tent dependent on venue/space). All high-resolution photos on a flash drive at the end of your event. Take them home, send them to friends, print and frame them! A friendly, professional, and well-dressed attendant on-site throughout the event. Drive time within 30 miles of 95405. Extra hours with the booth. 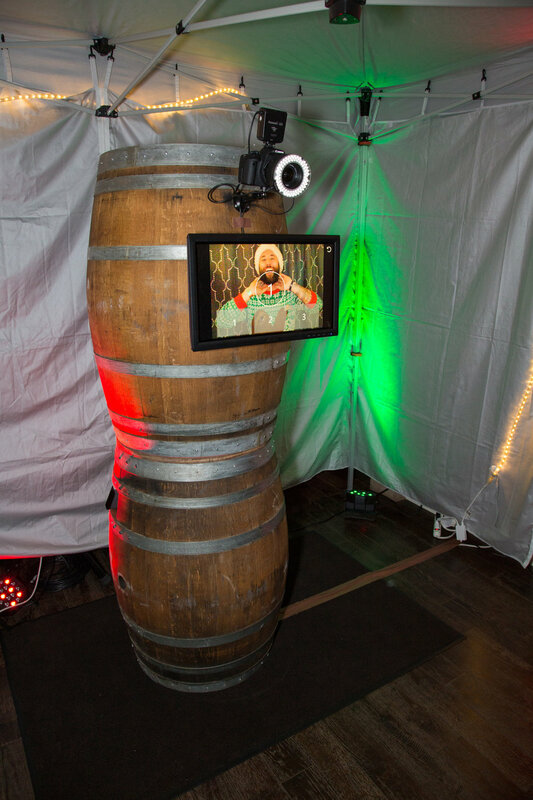 Wine Barrel or Farm House booth upgrade. Scrapbook for guests to glue photo strip duplicates and write a note. iPad kiosk where attendees can post straight to social media or email photos instantly with fully customizable tags or captions. 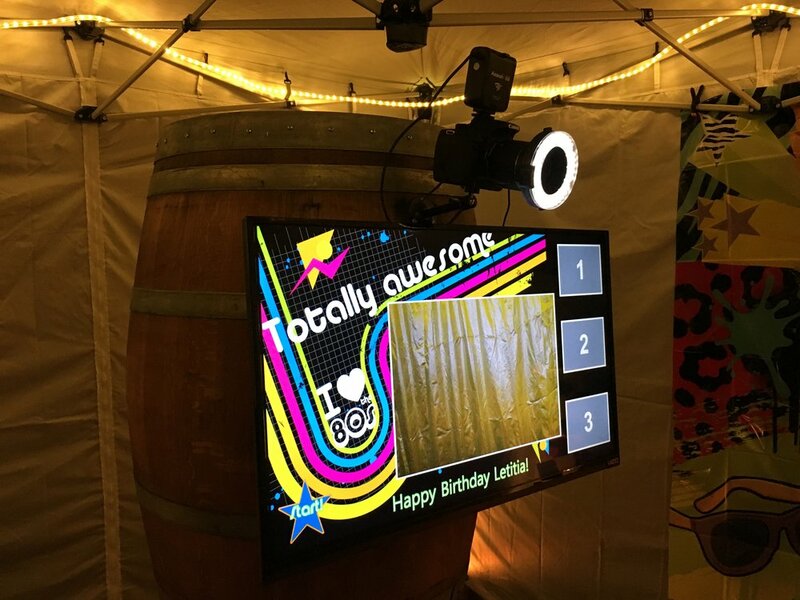 Television outside of photo booth with live slideshow of photos playing for guests.